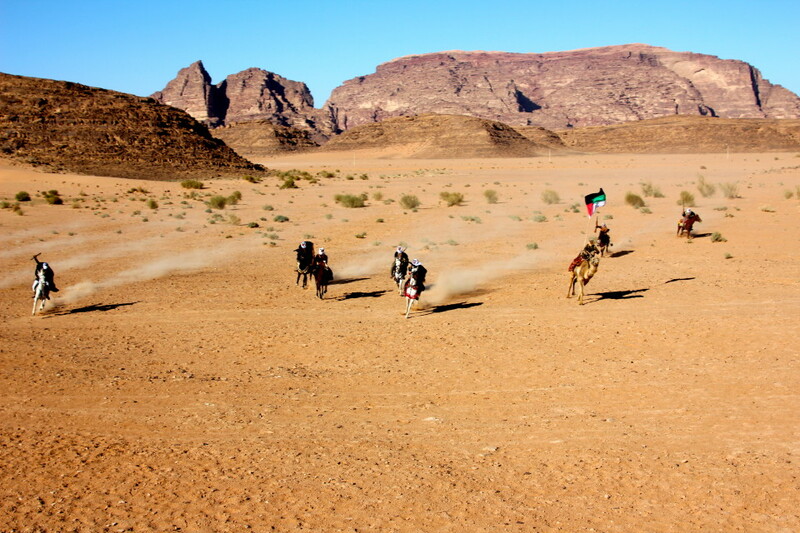 Have you ever wondered what the top things to do in Jordan are? 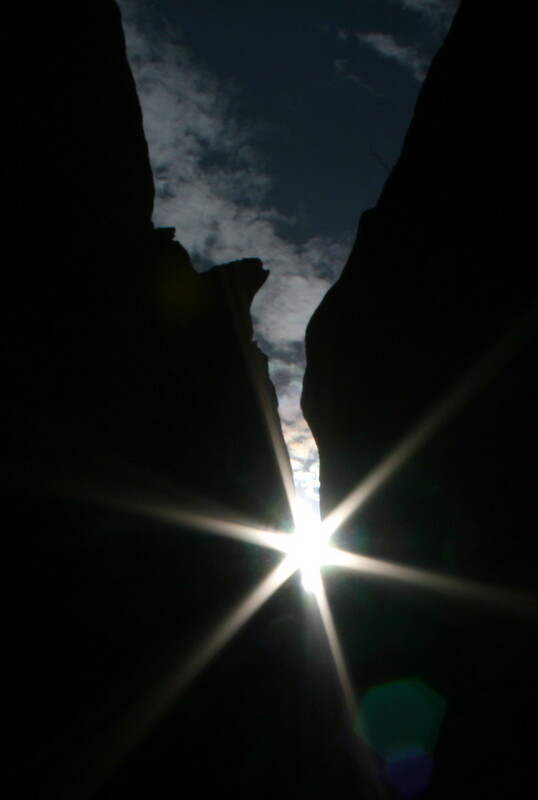 Petra is the rock-cut city and cave system that is famous for its architecture and water canal system. It is also famous today for it being the location of the filming of the Indiana Jones movie series. Known as the Rose Red City due to the color of the stones, there is no limit as to what to see or to do, from the well-preserved Roman amphitheater to the stone caves, carved burial sites and the many ancient columns. Don’t miss the main sites of the Treasury (al-Khazna) and the Monastery (Al Dayr) and Petra at Night. Where to Stay: There are two hotels that I have stayed at that are close to the entrance. The Movenpick Hotel, which is luxury and the other is the Petra Moon Hotel, which is “value luxury”. I recommend both. But before you visit Petra, most likely you will fly into Amman. 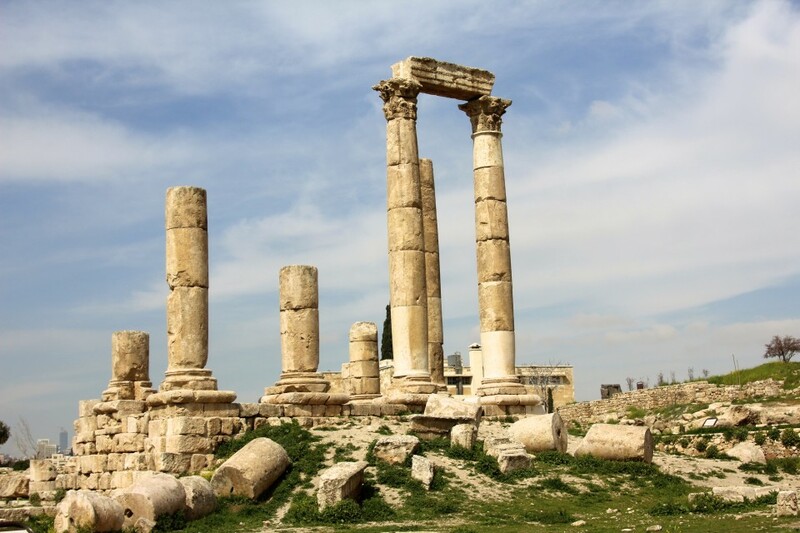 Go visit the Citadel in the city center of Amman – Amman is one of the most ancient cities in the Middle East with archeological finds dating back to 3200 BC. The Citadel is considered an important site because it has had a long history of occupation by many great civilizations. You will be astounded at its magnitude, as well as the preservation of this ancient city. Don’t miss the Temple of Hercules. Where to Stay: The Sheraton Amman Hotel was fabulous and I cannot say enough about their speedy check-in and hospitality. Of course, while you are in Amman, you also have to eat at a few of their amazing restaurants or even try some street food. 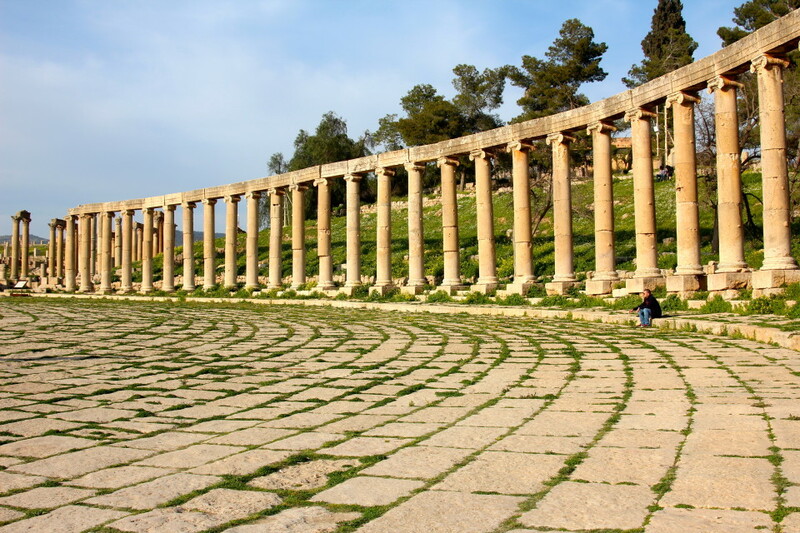 Go visit Jerash –Not far from Amman, about 30 minutes North of the city center. It was the capital of the Ottoman Empire and here since the 16th century. It is the site of the ruins of the Greco-Roman city of Gerasa, also referred to as Antioch on the Golden River. Float in the Dead Sea and Get a Spa Treatment – The Dead Sea is the lowest and saltiest spot on earth. There is nothing quite like floating in the salty waters of the Dead Sea. Afterwards, they will slather you in mud from head to toe, allowed to dry and then you will go back in for a rinse. Where to Stay: I stayed at the lovely Crowne Plaza Dead Sea Spa and Resort and it was stunningly pristine with a huge spa facility. I had a Dead Sea Mud Wrap treatment and massage. Spend a Day and Night in the Desert of Wadi Rum – Spend some time out in the desert, four-wheeling and looking at petroglyphs from the past. You can even follow the path of Lawrence of Arabia. 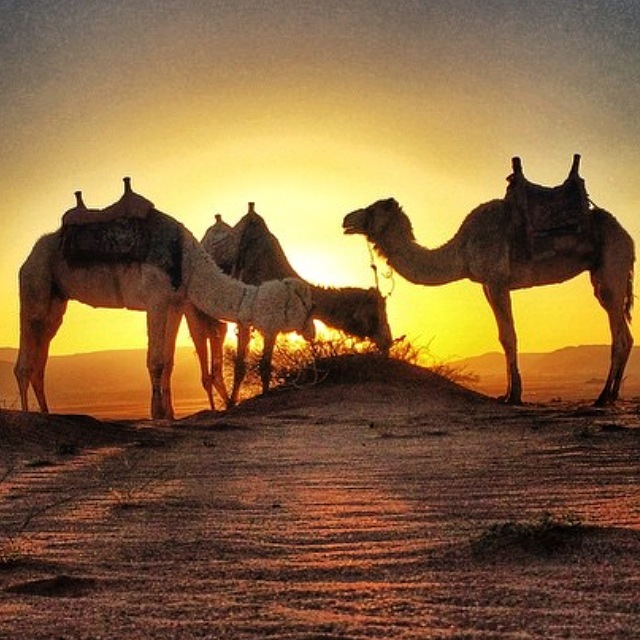 Also, take a camel ride in the desert at sunset, as there is nothing quite like getting up at pitch black 5 am in the Arabian Desert on a camel’s back lead by a Beduion to watch the sunrise! (This was one of my top 3 favorite things to do, second to Petra #1, of course, and #2 of breaking bread with a Beduion in the Dana Biopreserve). Where to Stay: I stayed at Rahayeb Desert Camp, located in a remote spot within Aldisi in the Wadi Rum Protected area. 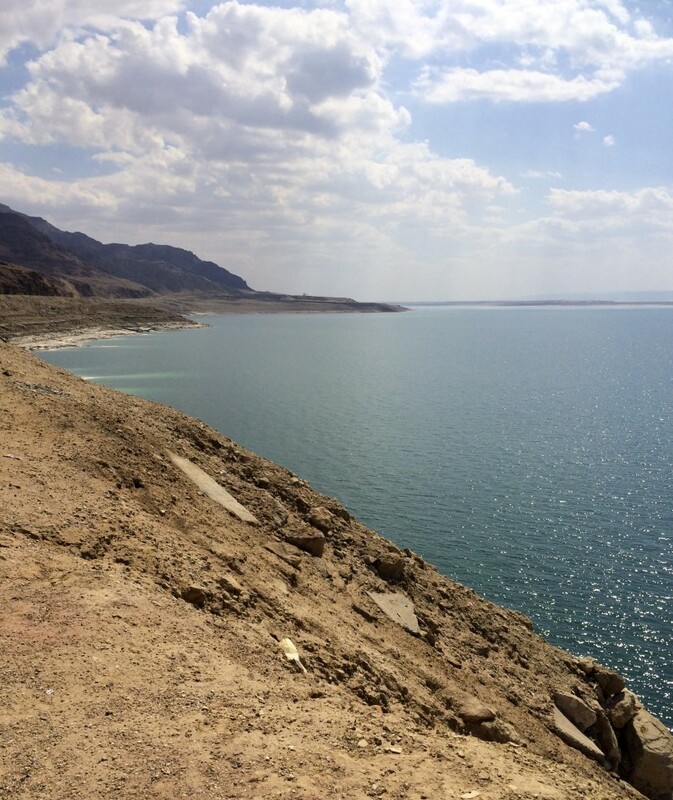 This will really make you appreciate getting water in the desert, as well as food and drink. They had an array of food for our entire group where they cooked the meat and vegetables in an underground stove. Break Bread and have Chai Tea with a Bedouin in the Dana BioPreserve – This was one of my top 3 things I did in Jordan on this last trip. I just loved being out in the middle of nowhere, watching bread being baked with coals on a fire inside of a rudimentary tent, while sitting outside and watching the sun set. I sat on throw pillows and listened to the silence of the night and gazed at the stars in the sky. It was quite an out of body experience. Where to Stay: I stayed at the Feynan EcoLodge, with its candlelit rooms (they only have electricity in the bathroom) and the peacefulness of the night with very little sound, other than the call to prayer at 4 am. It was the sound of a harp and came with some dogs howling! Magic! Take a Train Ride Into a Scene from “Lawrence of Arabia” – The Jordan Heritage Revival Company offers historical re-enactment tours from Jordan’s past. We took an antique train ride into a scene from “Lawrence of Arabia,” where they were celebrating their win of the “Arab Revolt” led by Sharif Hussein against the Ottoman Empire. Once our train was “attacked” by Arab horsemen, we were invited off the train to watch another re-enactment of negotiations in a Bedouin tent, where they served us more Chai Tea. 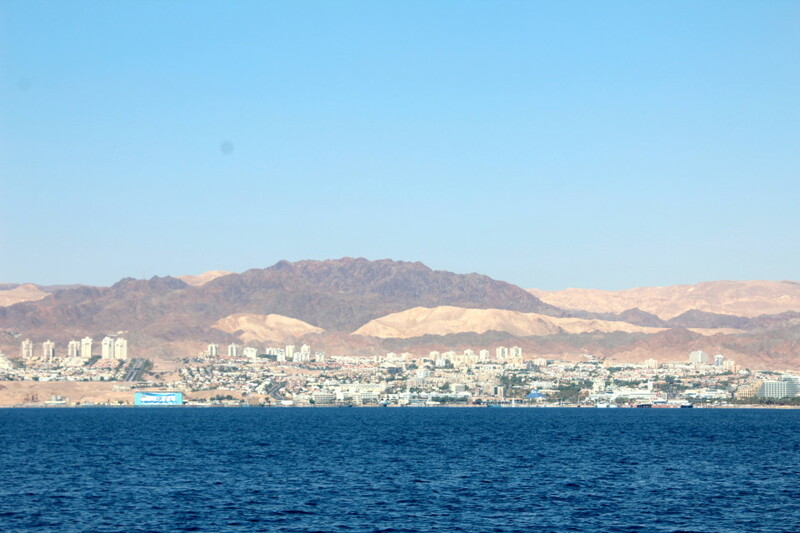 Go Snorkeling or Scuba Diving in Aqaba – The drive down to Aqaba from Amman is about three hours. Upon arrival in this “beach town”, you will want to take a day to go out on the Red Sea, either to scuba dive or snorkel. On a sunny day, the breeze is cool and the crystal clear water is just perfect for a dip. Standing on land, as you gaze out across the waters, where you can see Jordan, Israel, Syria and Saudia Arabia if you scan the horizon. Where to Stay: I stayed at the Radisson Blu Tala Bay Resort on both my visits to Aqaba. It is an all-inclusive and massive resort that has its own private beach opening onto the clear blue waters of the Red Sea. 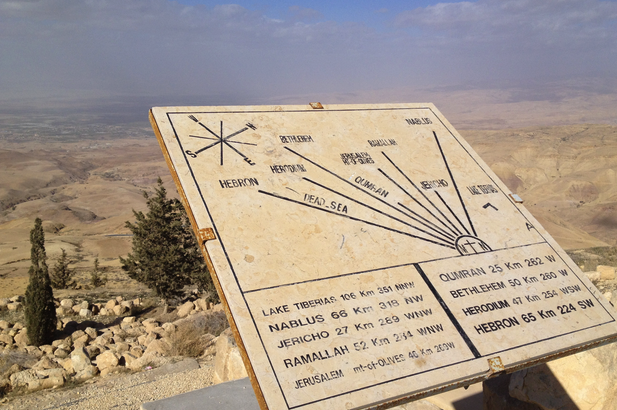 Stand Where Moses First Saw the Promised Land – Mount Nebu has been the site of Christian churches for centuries. And oh the glorious views! I couldn’t take my eyes off of them. And, of course, on my visit, there was an Arab shepherd and his sheep right within my view. A final note on safety: – “Why would you go to Jordan again now?” “Are you sure this is the right time to be going there?” You can imagine all the questions I received when I made my decision and then subsequently made the announcement that I was going back to Jordan again in 2015. With the Middle East being in the headlines daily in the American News, of course, I took it seriously. But remember, I had been there before, and one of the first things I remember is the people of Jordan. They were some of the most respectful and friendliest people I have ever met on my travels. Jordan and the USA have been close for over four decades and we support Jordan’s commitment to peace and stability in the Middle East. And so even though I always have some hesitation when I travel to a foreign country, how on earth could I not go back when I had the opportunity? And I have to admit, it was one of the best trips I have ever taken. 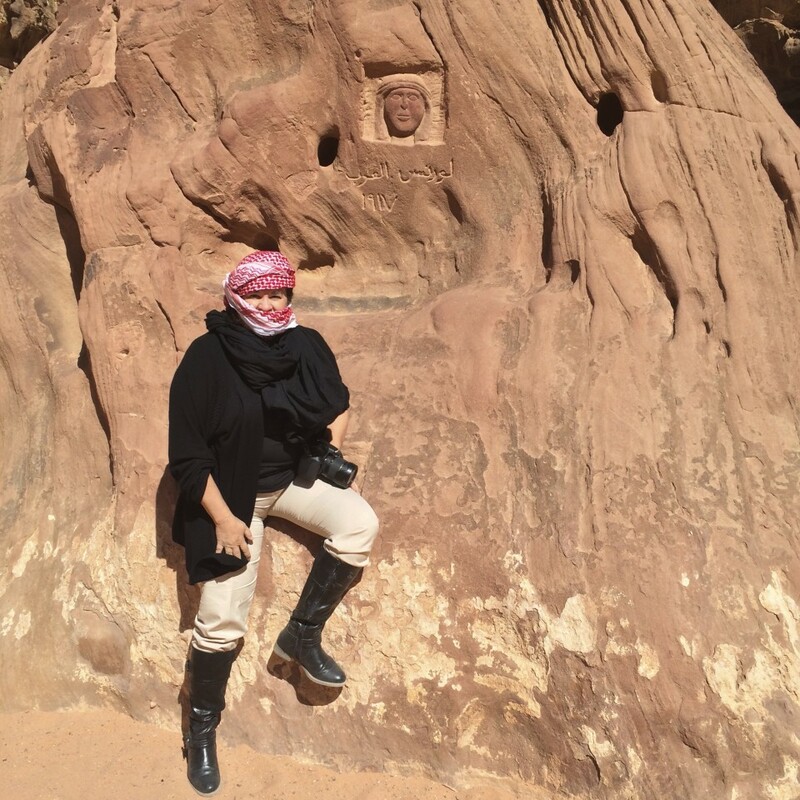 Disclosure: My trip to Jordan was courtesy of the Jordan Tourism Board for the social media influencer campaign of #GoJordan, but the amazing adventures I went on while there were all my own. 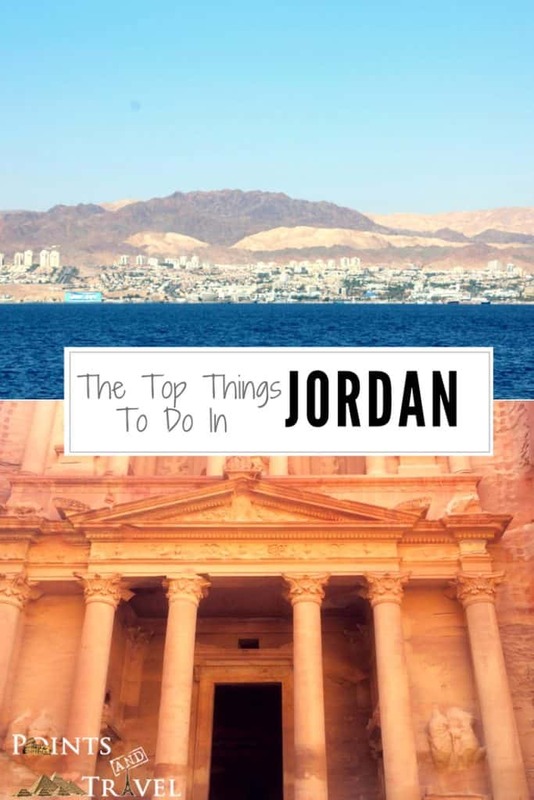 Jordan is on the top of our bucket list for the middle east! So want to get to the dead sea soon. Great list hoping to cross some of these off myself soon. Honestly, it was one of the best trips I have been on, as it is so exotic and unusual. This was my second trip to Jordan and it keeps getting better. PETRA it’s on the top of my list! Great list will have to bookmark this for when my Jordan trip finally happens. This post has pushed Jordan higher on my list. Have always wanted to float in the Dead Sea. It deserves to be right on up there! The Dead Sea is amazing! Great post, I absolutely love Jordan too! I know right? Jordan is awesome. Thanks for the correction, I need an editor to spell it right! It is corrected! I’m so jealous… I wanted to go to Petra when we were in Israel last year, but the time didn’t allow for it. I hope to make it there one day. You look like you had an amazing trip. It was amazing! It was my second visit and I consider myself lucky! 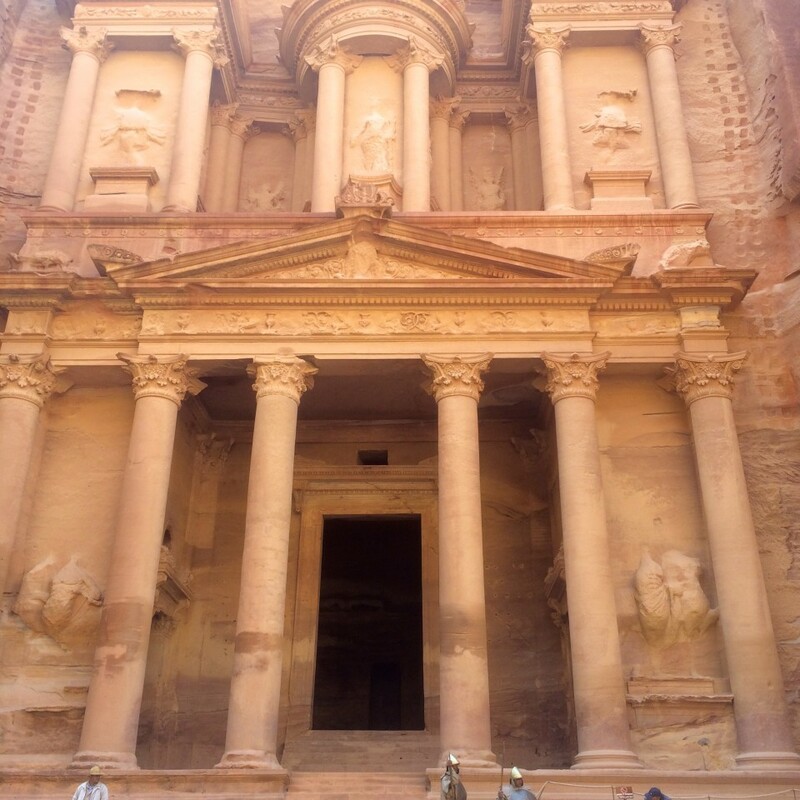 I loved my trip to Jordan and would go again in a heartbeat, keep it high on your bucket list! Great roundup Cacinda. I loved Jordan so much! Petra was the reason to go, but the Dead Sea and Wadi Rum were so impressive. I thought Jerash was underrated and was glad I went. So true Todd, the Jordanian people are amazing.